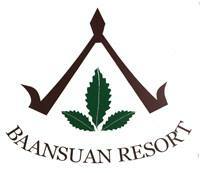 Ao Nang Baan Suan Resort, ask for availability and prices. Please fill in correctly all the fields of the below form to receive the required information. Probably we were lucky enough to find a place like this, while blindly planning for our honeymoon, based on internet reviews and star ratings. This place turned ou to be awesome. Pool, cottage, woods in backdrop, and Mariam coincidentally is the owner of the largest 7 island tour trips organised there, so easy to get around, peaceful! Room is comfortable. I got one near swimming pool. The pool is great but I think it might be pack if there are many people come at one time. They have nice reception and lobby environment. Everything is so great and amazing environment. I think they have wifi in room but I don’t realized till the day I check out. Lol. Wifi in the lobby got its speed which is good. They have many types pf rooms, make sure you request which one you like. Ao Nang Baan Suan Resort is the best kept secret. A short ride away from the hustle bustle of beachfront, this gem isnestled in a garden property with private and spacious bungalows, a delicious restaurant, and luxe poolside service. The owners are an incredibly kind family, and they have everything you could need right here on site. The resort is beautiful, with a great swimming pool, extremely friendly staff, top food and they offer a 7 island tour which is out of this world (includes 7 islands obviously, snorkelling, cliff climbing and jumping, sunset at the beach which is truly stunning and glow in the dark plankton snorkelling! And to top it all off a fire show performed by the staff at the end) Would highly recommend for family, couples and friend groups! 5 stars!